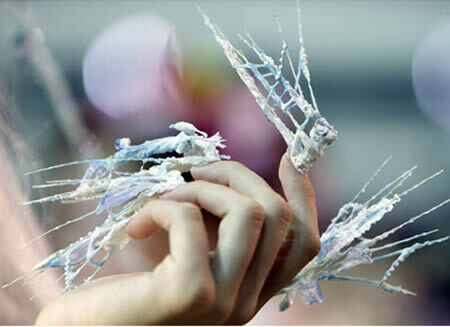 3d nail art with stereoscopic designs is made by quickly applying a paint-like substance called ‘mixture' over the nails and forming the shape you want before drying. 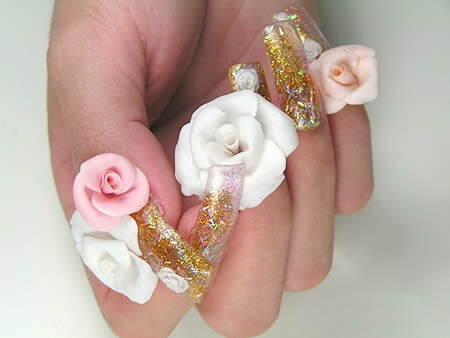 When creating nail designs such as flowers, each part is made individually in advance, then put together and glued on to the nail chip. 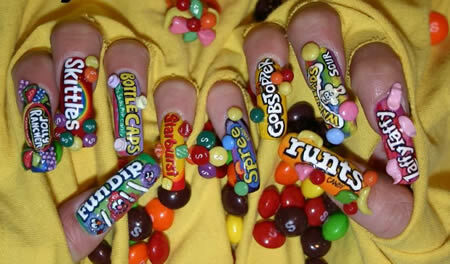 Sounds like a lot of trouble. 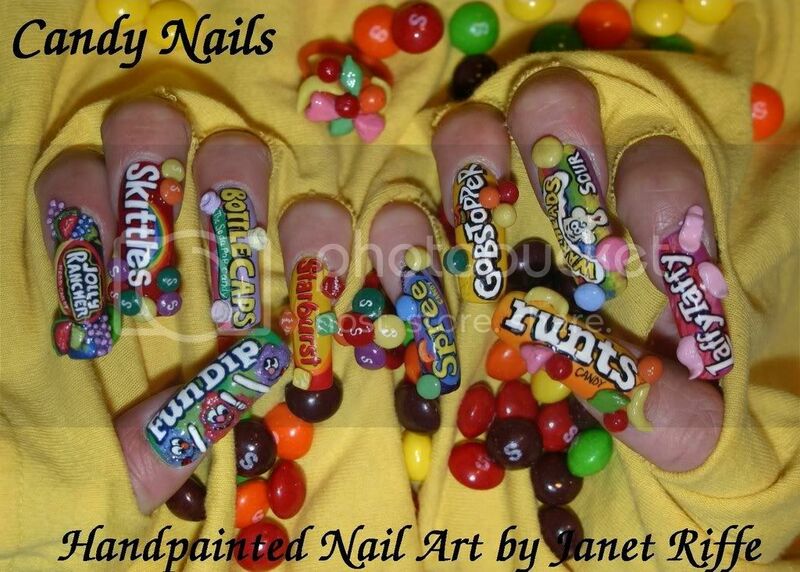 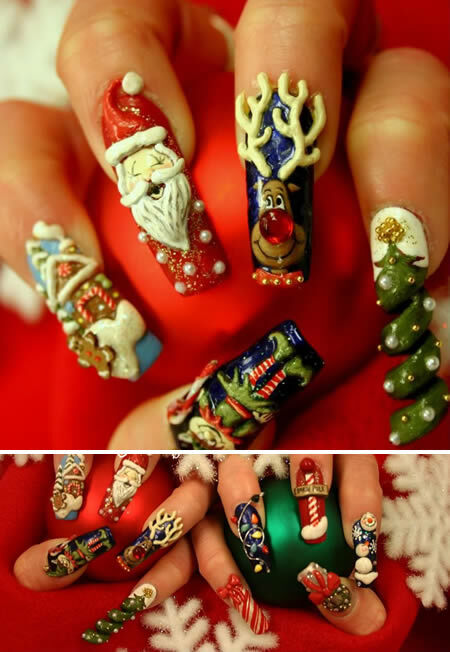 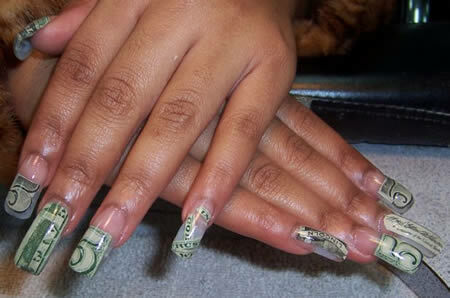 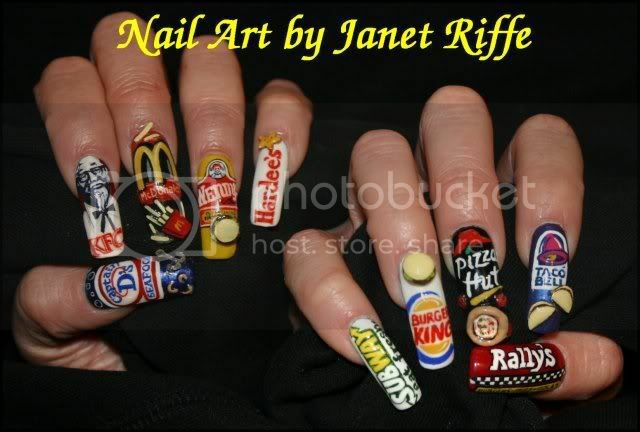 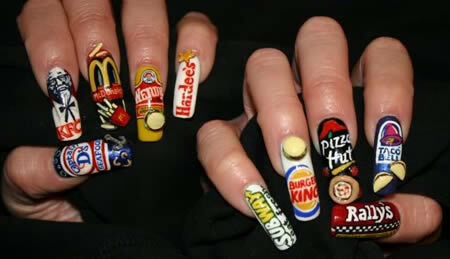 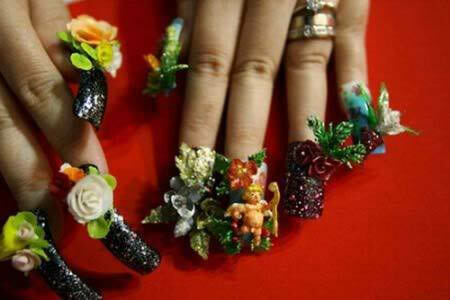 Meet some crazy nail art designs and other pictures of nail art ideas! 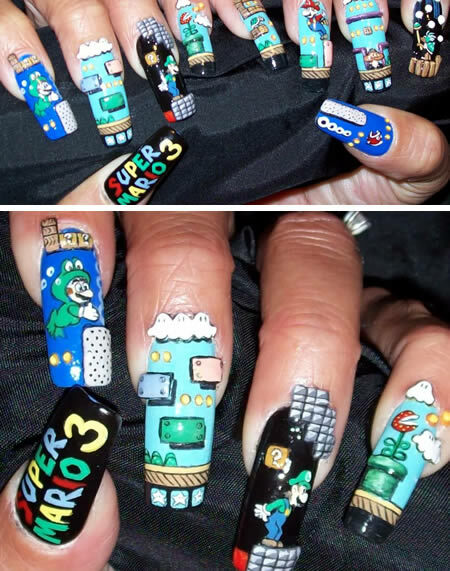 Thanks to our readers, Stacie A. and Pablo M., who sent us the idea and some links of cool nail designs! 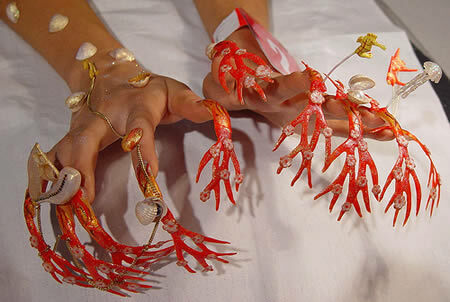 That coral could probably replace the need for a fork! 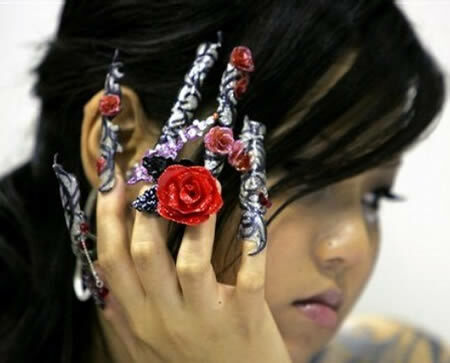 Musical nails, from a nail art contest. 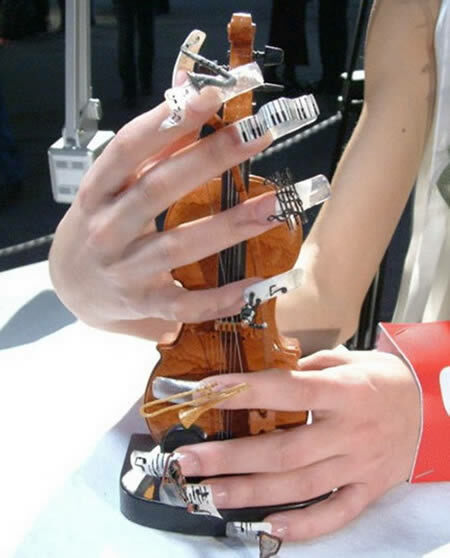 How will she ever play an instrument?